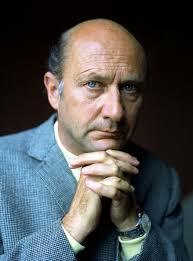 Donald Pleasence was Born October 5, 1919 in Worksop, Nottinghamshire. Pleasence was married four times (wow) and had five children. He registered as a conscientious objector until the Nazis bombed London, at which point he joined the Royal Air Force. He flew 60 missions with the RAF until his plane was shot down and spent time as a prisoner of war from 1944-46. Much of his work, particularly early in his career, was on the stage. He actually only turned to television and film after one of his plays flopped and he feared being out of work. Pleasence was the first actor to play James Bond arch-nemesis Ernest Blofeld in 1967's You Only Live Twice. 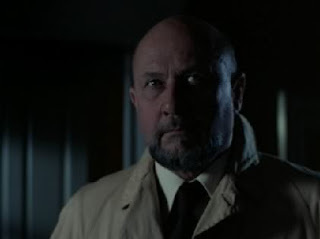 Although it's hard to picture anyone else in the role, Pleasence was actually John Carpenter's third choice to play Dr. Sam Loomis in Halloween. Carpenter first sought Peter Cushing and Christopher Lee, but both passed. Several of the early scenes of the television edit for Halloween were actually shot while Pleasence was on set filming Halloween II, including scenes at Smith's Grove Sanitarium where Loomis speaks at a review hearing for a young Myers. Carpenter must have appreciated Pleasence's work in Halloween, as he would later cast him as the President in Escape from New York. Pleasence referred to Carpenter as the best director he'd ever worked with, and was grateful that Carpenter gave him the chance to play non-villainous or seedy characters. Pleasence hosted the 1981 Halloween episode of Saturday Night Live. In the 1970s, Pleasence wrote a children's book called Scouce the Mouse. An album recording was made based on the book which featured Ringo Starr. Pleasence passed away unexpectedly in 1995 at the age of 75.